WORK is underway on Leeds city centre’s latest and most exclusive apartment development, which has just been released for sale and consists of four individually designed homes in the heart of Great George Street’s Conservation Area. The development, known as 53 Great George Street, consists of three stunning two-bedroom apartments, as well as a one-bedroom apartment which boasts an impressive double height vaulted ceiling in the lounge. Each property is unique and is being finished to an exceptional standard. The scheme is being developed by award-winning development company Rushbond, which is currently involved with many of the City’s most iconic and recognisable buildings including the redevelopment of The Majestic, the revitalisation of The Corn Exchange and the re-creation of the First White Cloth Hall. The Great George Street project continues the company’s tradition of investing in both new build and character buildings to create homes right in the heart of city centres, such as at Brewery Wharf and Crispin Lofts in Leeds, St Leonard’s Place in York and, most recently, The Cotton Mill in Skipton town centre. Mark Finch from Rushbond, says: “This development sits in a highly prominent position on Great George Street, overlooking the original Grade I listed Leeds General Infirmary building and the historic Grade II listed St George’s Church. 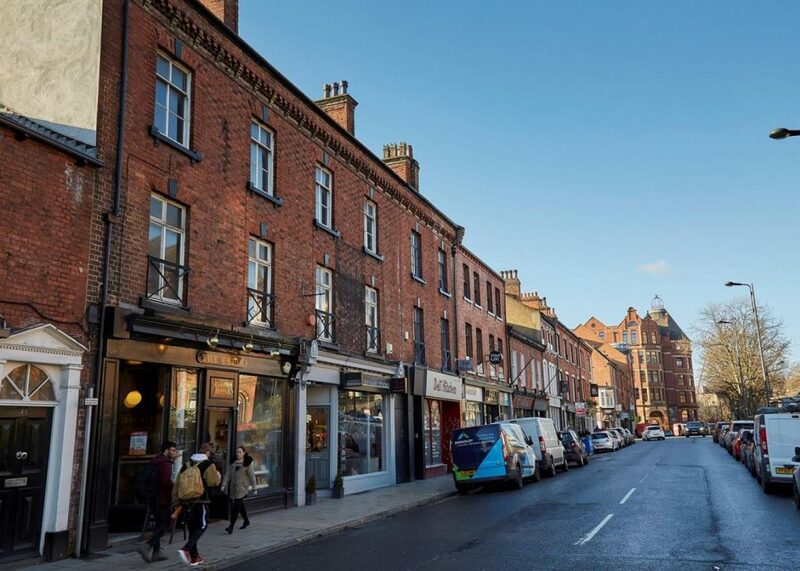 The street’s Conservation Area status has helped make it a really unique environment in Leeds with a village feel, with some great independent cafes, bars, restaurants and shops. Yet it’s still less than a two-minute walk to Millennium Square. Prices at 53 Great George Street range from £165,000. For further information about the apartments, visit www.53leeds.com or call 0113 398 0099.